This Hi-Point semi automatic pistol is economically priced and easy to carry and conceal with it's 4.5" barrel. The high impact polymer frame has an easy grip finish. Other features include last round lock open, an external thumb safety and 3-dot sights. 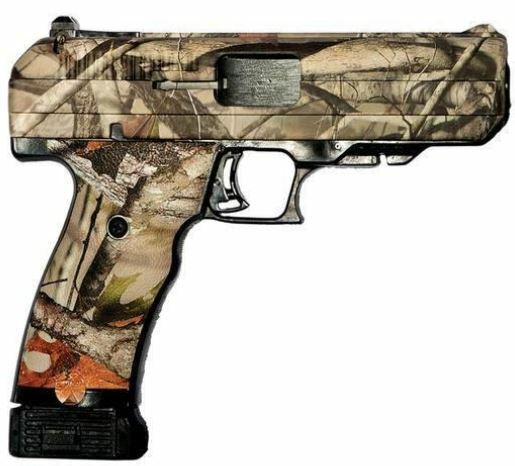 The slide and grip frame have a Woodland camo dip. Hi-Point firearms are made in the USA.